Olivier Rousteing is famous for his Balmain Army of top models that march down the runway and appear in his campaigns. 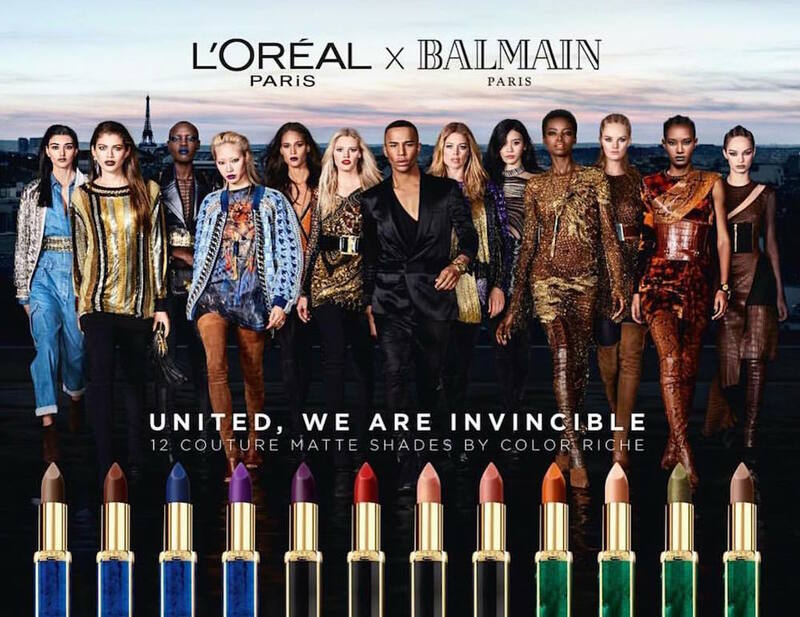 Well, some new troops just signed up for the just-released L’Oréal x Balmain campaign and it’s pretty major — and inclusive. Famed photographer Nico Bustos shot the campaign image, which provides a subtle glimpse of the Eiffel Tower in the background. According to WWD, Brito, Park and Kroes are all wearing the star shades from each lipstick “tribe,” but we’re dying to know the shade each model is wearing.